Welcome to Siege Ind. design clothing and printing. We have been serving bands and clothing lines around the world since 2007. Our goal is to give high quality work at low prices. We can create custom album cover designs, web sites, logo designs, band t shirt printing, custom flyers, custom business cards and much more! All our design services are backed by a 100% satisfaction guarantee. We do much more than just design work − we also offer full print services. We can print nearly anything you need for merchandise and promotion. We offer screen printing, stage banners, CD inlays, business cards, posters, flyers and much more. For bands on a low budget we have stock designs starting at just $10. We also have exclusive t-shirt designs for $50 where you can browse through hundreds of pre-made designs. Once you purchase the design from our band t shirt designer, the design is removed from the site and is exclusive to your band our business. We Also offer exclusive album covers for $75 where you can browse through tons of our pre-made covers and once a design is chosen it is removed from the site and exclusive to your band our business. We also can handle all your web design needs. 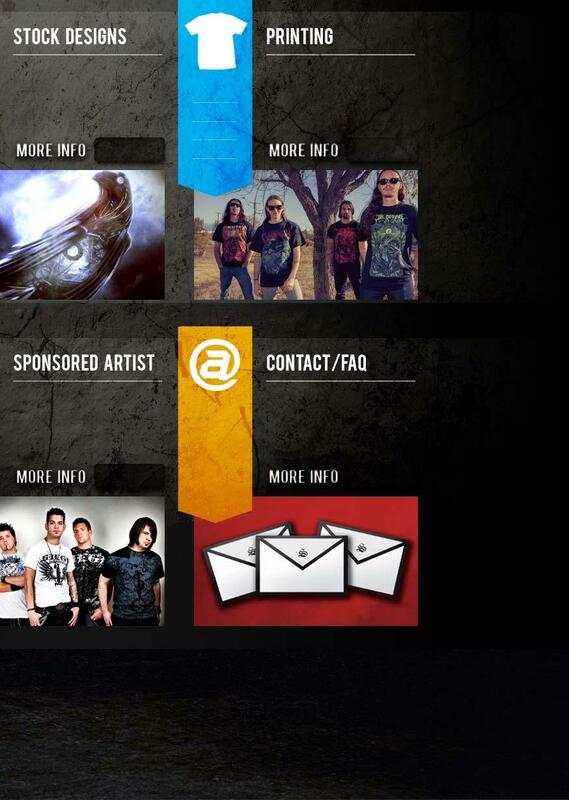 We can create full website designs for your band or business. We can also create designs for your social networks. We offer full MySpace design for your band or business we also offer facebook pages designs for your band or business. 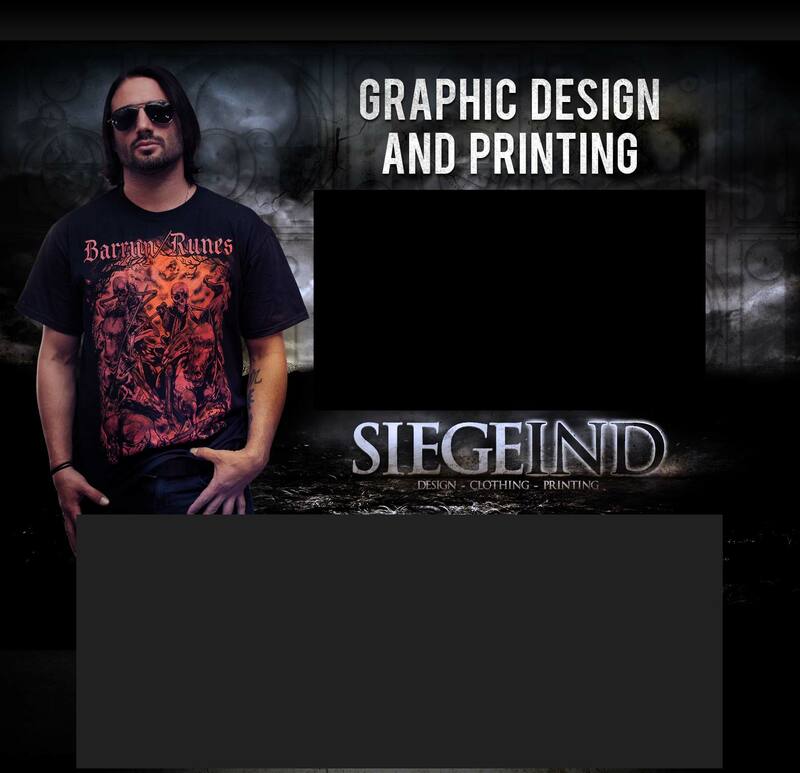 If you are in a band or own a clothing line, Siege Industries is you number one place to go for all your design and print needs. Copyright 2011: Siege Industries. Album Cover Design. All Rights Reserved. Bring your ideas to life with our custom design services. Just send us a message with your concepts for a quote. Not sure what you want? We have tons of designs ready for purchase at a fraction of custom design cost. Need Merch? We offer high quality prints that your fans will love! Plus print products for your shows and events. Become a Premium Member to receive discounted rates on our Design and Print services. Includes a custom web design. Check out some of the bands we currently sponsor. We currently are not sponsoring any new bands. If your ready to order or have any questions send us a message today!